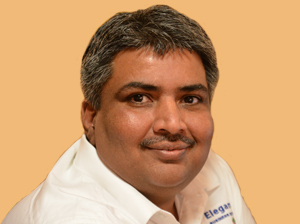 Kartik is the founder and CEO of Elegant MicroWeb, specializing in software services and products. For two decades, Elegant MicroWeb has provided a full suite of innovative offshore technology services, serving clients worldwide, with sustained business partnerships. The flagship ElegantJ BI business intelligence solution offers a Smarten approach to BI, with Advanced Data Discovery, Plug n’ Play Predictive Analysis with Assisted Predictive Modeling, Self-Serve Data Preparation, Smart Data Visualization and a Natural Language Processing (NLP) approach to Augmented Analytics, called Clickless Analytics. ElegantJ BI has been included in Gartner reports including, the ‘Gartner Market Guide for Enterprise-Reporting-Based Platforms’, as an Other Relevant Vendor in the Gartner MQ for Business Intelligence and Analytics Platforms, as a Niche BI and Analytics Vendor for the Gartner Report, Competitive Landscape: BI Platforms and Analytics Software Asia/Pacific and a Listed Vendor for Other Vendors to Consider for Modern BI and Analytics, Gartner Report. -What is Self-Serve Data Preparation and How Can It Support Business Users? -Advanced Analytics: If You Don’t Know What You Need, How Can You Succeed? –What is Advanced Analytics and How Can it Advance Your Organization? -What is Augmented Analytics and Why Does it Matter? -Do Citizen Data Scientists Mark the Death of Data Scientists? -Citizen Data Scientists? Yay or Nay? -Self-Serve Data Preparation: Help Yourself!